Just lately, mobile internet searches surpassed searches on traditional computers in many parts of the world. This is true in the United States, Japan, and 10 other developed nations. In fact, Google representatives have said that worldwide mobile traffic exploded must faster than the company had originally predicted that it would. While lots of people still use laptop or desktop computers, many other people rely upon their tablets and phones as their main way of getting online. In response to this trend, Google has begun to focus on mobile ads, local search, and making sure that website owners get ready for mobile as well. It’s long past time to begin exploiting digital traffic from mobile devices. Companies that ignore handheld devices are bound to lose online business. These tips can help your company begin to attract traffic, collect leads and make sales from cell phones and tablets. Make sure that your mobile site performs well on different devices. If you aren’t sure if your company’s site works well and looks great on smaller screens, you will need to find out. Mobile users get impatient with websites that don’t work well on their small devices and if they have a bad experience, they are likely to back out and find another business. You can search online for Google’s free online testing tool, but it is also worth it to get your site manually tested on different phones and tablets. You can also go to http://mobiletest.me/ to see your site simulated across a whole range of mobile devices. If you check your analytics and notice a high bounce rate from certain devices, you might suspect that you have a website design problem with those particular devices. Get a responsive design or theme for your site. Build a dedicated mobile site and redirect mobile traffic there. Create a mobile app that phone users can download. A growing number of internet users check their emails from their mobiles. It is also important to be certain that your emails have a responsive design that looks good on a variety of different kinds of computers and devices. Today, you can target mobile ads to specific cities, neighborhoods and in some cases, individual buildings. It only makes sense to promote your brand to people who are looking for what you have and are already close to the front door of your business. If you can offer them a special promotion, you have an even better chance of engaging these people. There are dozens of ways to exploit the boom in mobile traffic. These ideas cover the basics. 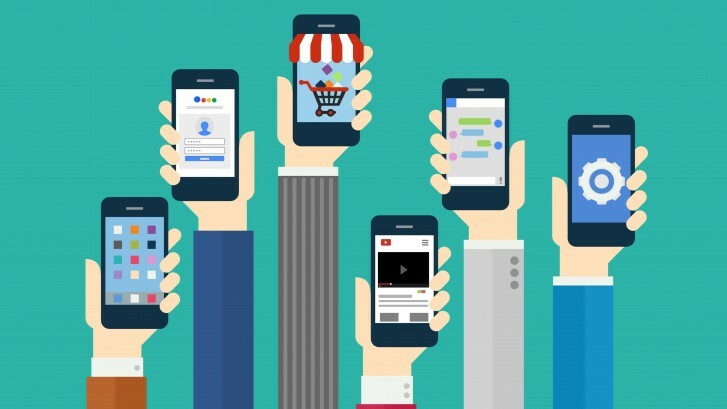 In addition, more mobile advertising and social platforms are bound to appear in the future, so it is important to keep up with the latest trends. It is already obvious that businesses that neglect mobile device users are going to lose both their current visitors and the potential for growth in the future. By making sure you site works well on phones and tablets, using text messaging lists and targeting local traffic, you can begin to enjoy a new boom in your business. Matthew Long is a successful businessman and event specialist. He is co-founder and CEO of Gigcentric.Com, a company that provides professionals with event planning software designed to help run and grow their business.